Oppositional behaviour is common among kids with ADHD — the usual discipline strategies don’t always work. Instead, try these simple strategies for better behavior. 1. Most important rule is do not take ODD behavior personally. Remain calm and friendly whenever you interact with your children. 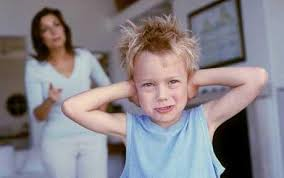 Oppositional kids have radar for hostility. If they pick up your anger, they’re going to match it.” Appear calm until you feel calm. If you feel you can’t be calm walk away for a time to reclaim your brain. Topics can always be revisited when you are in a better head-space. 2. Encouragement and Praise go a long way! 3.Use “Positive Opposite” Technic often. This is a very powerful tool to stop opposition behaviour in its tracks! When communicating to your children match their behaviour with a positive opposite response. For example if they are shouting then you choose to speak in a very quiet voice, if they are slamming the door you choose to close it quietly, if they are being harsh you choose being gentle. This is challenging to implement at first but when you see the results of using this technic you will want to use it often! Collectively using these strategies will significantly improve your child’s behaviour. Parenting children with oppositional behaviours means taking a different parenting approach than the one you are familiar and may have been parented with. To achieve a calm and connected relationship with our complicated kids taking a positive parenting approach is most effective! Comments, questions or want more information please do get in touch with me…happy to connect with you!